Everything that every nutrition book should contain. 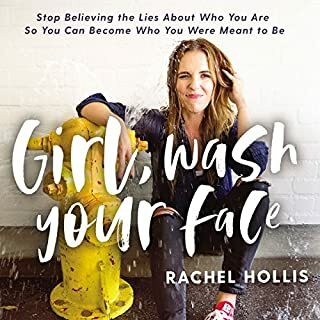 This book is incredible and everyone should read it. It destroys so many terrible myths and so much misinformation and nonsense pervading the world of food. 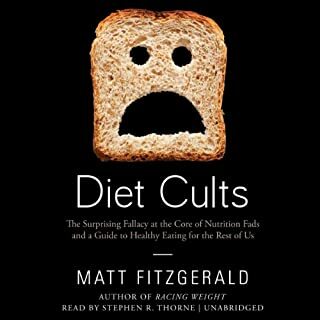 There were moments I wished I could run and hug Matt Fitzgerald for doing such a fantastic job of presenting the accurate side of nutrition in a format those of us without a degree in biochemistry can digest. I have already recommended this book to the food and science enthusiasts I know, and I will continue to recommend it to everyone because this is an incredible collection of knowledge. Bravo, Mr. Fitzgerald. 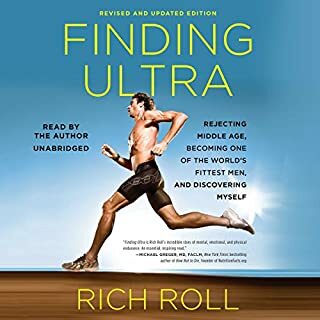 I enjoyed hearing about his journey into ultra training. The psuedoscience he promotes with his plant based diet is over the top though. of that entire section disappeared, I would have greatly enjoyed the book. Cleanses... who actually falls for that? I guess he does. I quit the book when it became all about his lack of knowledge about healthy eating. You don't need to consume spirulina to be healthy.